ORLANDO — In today’s business climate, customer service represents the best way to stand out from competitors, and that extends to contact centers, said Brad Cleveland, senior advisor and founding partner at ICMI, who delivered the morning keynote Tuesday at ICMI Contact Center Expo & Conference 2018. Cleveland urged attendees to consider “how are you using your contact center to differentiate, to help your organization shine,” citing pet supply retailer Chewy as a prime example. Despite competition from big box stores, online retailers, and local veterinary practices, Chewy has succeeded by differentiating itself using its contact center and customer service, responding to service inquires across channels “lightning-fast” and even surprising valued customers with painting of their pets, Cleveland said. In a one-on-one interview with CRM magazine, Cleveland put the notion this way: Organizations should develop the mind-set of being a service company that happens to be in a specific vertical, such as transportation, healthcare, finance, or, as in Chewy’s case, pet supplies. “There’s never been a more important time to get customer service right and to understand how to build relationships with your customers that are appropriate and that are right and that will keep them excited about continuing to do business with your organization,” he said. With the idea established that customer service must become the focal point for organizations across industries, breakout session speakers addressed a number of topics to help companies get there. Write in your company’s brand voice. This means ensuring that the tone in service communications is consistent with that of the company’s website or marketing materials. Handle channel pivots gracefully, and explain why you want to move to a private channel. If a customer reaches out via social media, for example, and the company needs to shift to another channel for additional support, the communication should first acknowledge the customer’s initial complaint and then provide specific instructions for reaching out via that other channel. Additionally, in cases where sensitive information is required to resolve a customer’s problem, the company should first clearly communicate that point and then instruct the customer to reach out via a private channel such as direct message. Make templates easy to customize. O’Flahavan noted that templates can be useful for social media interactions, but cautioned that they need to be crafted in a way that enables agents to easily insert information specific to individual inquiries. Avoid confusing abbreviations and use emojis sparingly. Though it can be tempting to abbreviate words, especially when texting, O’Flahavan warned that abbreviations can often be distracting as well as create confusion for customers, especially if they are uncommon ones. As for emojis, she acknowledged they can express empathy when placed strategically, but as with abbreviations, they can be distracting and create confusion when overused. Use personal pronouns. Incorporating personal pronouns such as “we” and “you” can make communications feel more conversational. Increased connectivity has enabled the rise of remote contact center workers, but agents who work from home must be adept at learning, sharing knowledge, and socializing digitally, says Michele Rowan, president at Customer Contact Strategies, an organization that helps companies implement home-based contact center strategies. Rowan asserted that success in this model relies on three things: the right reps and leaders; activities for cultural connectivity; and technologies that make it easy to stay connected. Reps should be comfortable working independently, and managers should be comfortable running virtual meetings and using digital tools for support. Activities that drive cultural connectivity demonstrate that there is no downside to working from home and can include virtual celebrations, recognition and rewards, contests, and social events. As for technologies, chat tools such as Slack and Yammer can be used for knowledge and experience sharing; web conferencing tools such as Adobe Connect and Cisco WebEx for virtual meetings; and gamification tools such as Badgeville, Snowfly, and GameEffective for online recognition and rewards. Is Everything You Know About Employee Engagement A Lie? Effectively guiding contact center agent engagement requires the right leadership and technologies. 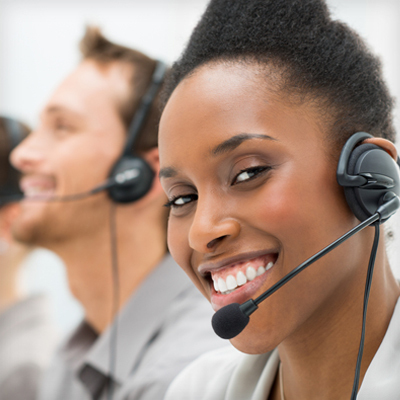 Here's a list of five mistakes to avoid when your contact center has fewer than 75 employees. Customer service will need to adopt an omnichannel, agent-first, AI, and IoT focus to succeed in 2018. With age-diverse contact center teams, generational intelligence is an essential part of employee engagement.